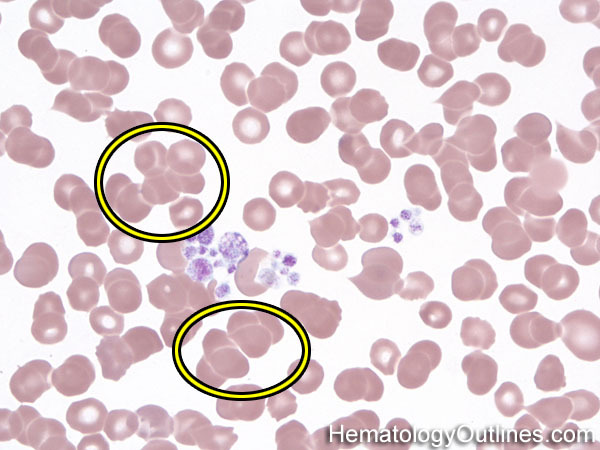 This finding must be evaluated in the appropriate section of the peripheral blood smear (where RBCs are usually not touching each other). Typically associated with cold antibodies (usually IgM). Mostly due to reduced zeta potential (Note: the zeta potential between RBCs keeps them apart. 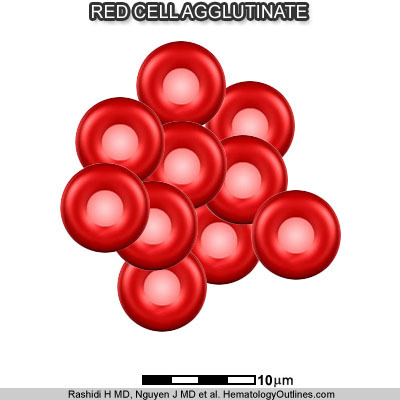 Hence anything, usually relatively positively charged molecules such as immunoglobulins, that reduces this zeta potential will facilitate RBCs to aggregate or stack on top of each other).